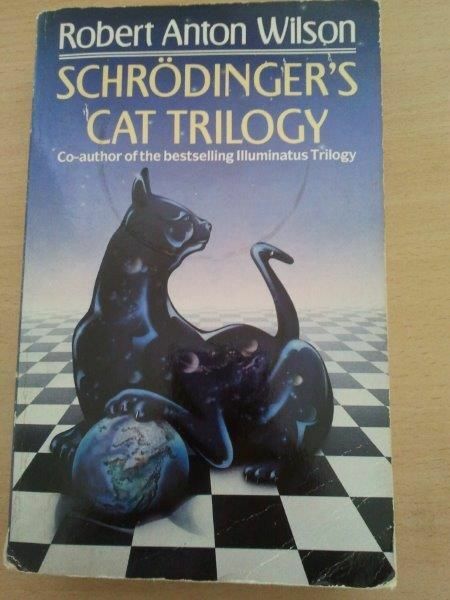 One of the better bits in the Schroedinger's Cat trilogy. I have not read the Schrodinger's Cat Trilogy in at least a decade, nor any other of RAW's works in that time. Today, for some reason, the memorable phrase "no wife, no horse, no mustache" popped back into my head, completely unconnected to anything else wandering around in there. Remembering that it was from Schrodinger's Cat, but not remembering the context, I did a search for the phrase to recall its meaning, and landed here at your site, which I do not recall either visiting or being aware of before. To find that just today, you have made a post about that phrase from the book, with that phrase the title of the post, the phrase I suddenly recalled for no reason known to me. Truly, the universe is strange. I believe I shall spend the rest of the week looking for quarters.